Fubar Tactical Tool » Protective Solutions, Inc.
At 14.2" long and 2.5 lbs, the Fubar Tactical Tool is perfect for tight spaces. 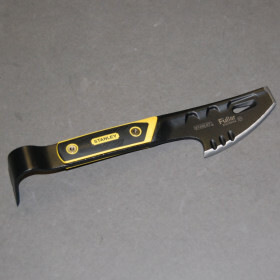 This tool has the features that the Tactical Officer is looking for and is affordable enough for every Patrol Officer. Precision-ground chisel and prying ends as well as a striking surface make this perfect breaching, extrication, searches and more. Offers a superior grip for added comfort and reduced slippage.